Making her start out in theatre, appearing in productions like Chicago and The Best Little Whorehouse in Texas for local theatre companies, Kaan isn't afraid to take to the stage and make it her own. With a fiery set of vocals and a natural ability to compel audiences, Ayla Kaan is quickly becoming a household name around Newy's live music scene. Speaking of taking the stage, Kaan also got the opportunity to start the new year with a bang by performing at the Woodford Folk Festival, a yearly festival that celebrates folk music and just celebrates life, love, peace & all the good things. So, I think Ayla fit right in among this crew. With a knack for writing her own tunes, be sure to check out her YouTube & other socials, as this is where you'll usually find snippets of songs she is writing or completed works. If you trawl her YouTube, you'll also find amazing renditions of classics, such as Amy Winehouse's 'Valerie' (a personal favourite of mine) among many other great hits. As a fairly new artist on the scene, it's good to see Kaan actively creating new music and content (such as vlogs) for people to follow and for what will hopefully become her career of choice. My music is a mix between RnB, Pop and Folk, it has unique twists and turns but still feels familiar and relatable for the audience. What can people expect from your performance at Winter Live: Unplugged ? My performance this weekend will be a mix of covers and originals. I am currently working on my debut EP, so I’ll be testing a couple of songs that I think will make the cut for that. To be honest, I feel like Newcastle doesn’t have a very big music scene and I really wish it did, even busking on the street here is a lot different to other towns that are close by, people don’t engage much with it. I think that if more venues, even restaurants and bars were more open to having live music, the whole vibe of Newcastle would change dramatically in a positive way. It would encourage travelling musicians to come here as a part of their tour, but also would give local musicians starting to try to find gigs a good opportunity for live performances. A lot of underage venues were closed down in the last few years, while I was still at school, and it was super disappointing because there are so few underage venues in Newcastle and most of them have now been closed. So, I think that starting some more underage venues up again would be a good step forward. I love Bravo Victor! I’ve followed them for a while now. It’s just a bass and vocals and occasionally a bit of drums. The combination of the bass and vocals just works so beautifully well together, so simple but still a full round sound that doesn’t tire. I was actually in a musical last year with Sophie, the singer in the band, and she is such a beautiful person, so kind and down to earth! I also really love Dr. Dingo and the Space Cadets! They absolutely SHRED!! I’ve jammed with them a few times and they’re such talented musicians and are so fully there in their performance every time, definitely worth a look! Retro Wardrobe is great! Good quality second hand clothes which is always a winner! The Bhakti Tree in Mayfield is my all time favourite place for a good feed, some good vibes and most things on the menu can be made vegan, which is great for me and any other vegans out there! I love to go for a walk through Glenrock Lagoon, it’s my favourite place in Newcastle for sure and always so beautiful! When and where can we catch you for Winter Live: Unplugged ? I will be playing in Doppelganger Kitchen at 3:30pm! There you have it! To check out more about Ayla Kaan, you can find gig updates, new music and other goodies via her social links below. 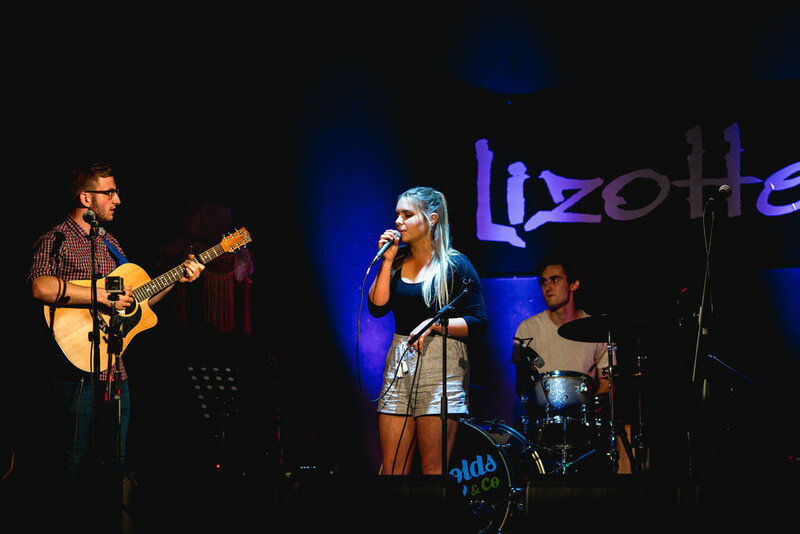 I also recommend you check Ayla's set out at Winter Live: Unplugged on the 23rd of June!